Anything else is not dental insurance. 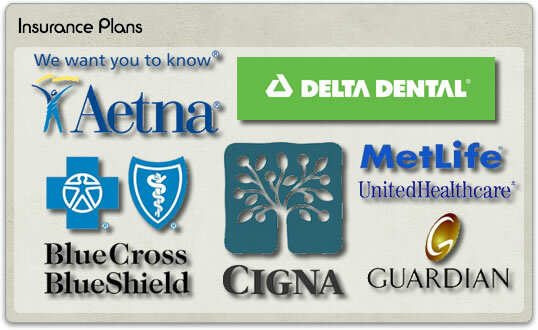 Dental Insurance, in general, is a benefit offered by an employer to its employees. Levels of benefit can vary greatly between insurance carriers and within carriers themselves. The benefits offered to employees is determined by the level of coverage selected by the employer. If you have selected an HMO policy, you are required to see a dentist either assigned to you or listed in a directory of dentists who are contracted as HMO providers. I am only an HMO provider for United Healthcare Dual Complete, Community Plan and Care Improvement Plus plans . Otherwise, no benefits are provided for seeing a dentist out of the HMO network and full fees are expected to be paid. If you selected a PPO policy, this means you are able to see any dentist you want. If you see an “out of network” dentist, you are required to pay their full fees. However, “in network” dentists contracted in your PPO network are required to charge you a discounted fee for most procedures as determined by the insurance company. Any deductibles apply as stated in your policy. In addition, the insurance company pays a percentage of that fee ranging from 100%-50% on average based on your policy. The remaining portion is your co-pay and is due at the time services are performed.